People tend to think there is a special recipe to make traditional Irish Stew. To be honest, there is nothing special about this Irish recipe except that it tastes delicious. 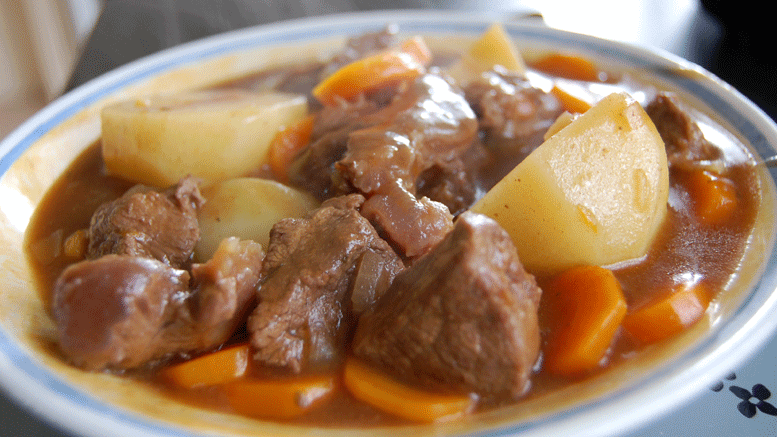 There are only 4 ingredients to traditional Irish Stew. With so few ingredients, making this recipe is very easy and very low cost. Potatoes are the main ingredient for a traditional homemade stew from Ireland. A typical bowl of Stew is enough for one serving. However, the great thing about this recipe is that it still tastes good when re-heated. Its probably safe to say that every Irish family have their own method of making stew by adding their own ingredients for flavoring. Always remember though, keep this recipe simple. Wash and cut onions into moderate size chunks and add to the pot. (don’t like onions? Do not worry, this can still be cooked without onions). Wash carrots and cut into chunks (some prefer thicker chunks for taste). Wash and peel the potatoes (spuds) then cut each one in half. Slice the meat into smaller pieces. If using stewing mince roll into meatballs. Get a large pot and fill it with water. Add the potatoes and meat. Heat pot until water boils then add carrots and onions. Keep on a low boil and stir every now and then until vegetables are cooked. Cooking time for the Irish stew should be approximately 60 minutes. However, its important the meat is fully cooked and the potatoes are soft inside (check using a fork). There is no harm in keeping it on a very low heat for longer. It can also be reheated to be served later. As a hearty meal Irish Stew can be served almost any time of day although we would draw the line with eating it for breakfast. Served up in a bowl when its piping hot, Irish Stew makes a delicious lunch or dinner on a damp cold day. 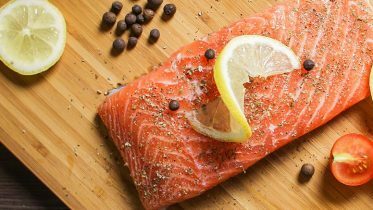 Along with a couple of slices of bread with some Kerry Gold butter this make the perfect comfort meal. 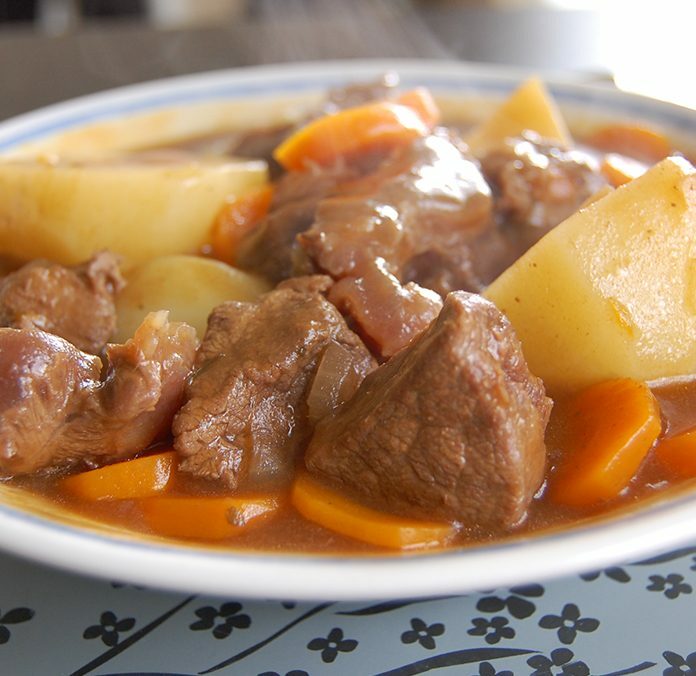 Many Irish people have been feeding on stew since they were toddlers and it has become in its own right an Irish tradition. Our own mother would make a large pot of Stew for lunch every Saturday in the winter months. She would serve it in large bowls with freshly cut bread & butter to be washed down with either a glass of water or milk. Today its something we repeat with our own kids and hopefully they’ll continue in this family tradition. If you are serving stew to a toddler its a good idea to only serve them part of the spuds & carrots by mashing it together, this should also soak up the gravy. Let it sit and cool before feeding as stew is usually served piping hot. What meat to use for Irish Stew? There is no set rule on what type of meeting you can use, many prefer a beef stew, or a lamb stew, and even a mince stew. A personally favorite is mince stew, rolling the mince into small meat balls. Its blasphemous we suggest this but experimenting with stew can bring out some fantastic recipes. It is common for people to add some extra ingredients to give the stew more taste or to thicken it. A small amount of beef gravy granules can do the trick, don’t be afraid to experiment. Just remember though, its not a traditional Irish stew when you add the extras.